Do you remember watching “National Lampoon's Family Vacation” and wishing that you could visit Wally World for real? You actually can because the Wally World Camping Resort has memberships for sale that you can buy for your next family vacation. While you won't find larger roller coasters like Clark and his family rode, you will find staff who welcome you as soon as you arrive and who treat you like family. 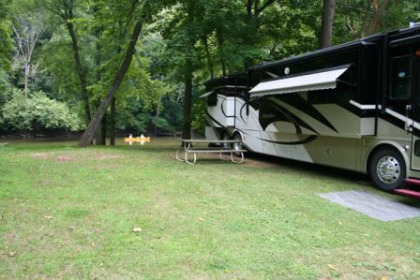 When you buy a campground membership for sale at Wally World Camping Resort, you'll find that you can set up camp right by the river. Each of the 250 sites available at this campground are so close to the water that you can change clothes and dive in or find the perfect fishing spot in minutes. All RV spots are full hookup sites that come with 30 and 50 amp electric hookups as well as connections for sewer and water. If you have a camper that is longer than 50 feet, you can contact the campground ahead of time and have a larger spot waiting when you arrive. The campground also has some tent sites available that are perfect for kids who want some extra space to play and loved ones who don't have their own campers. Security guards are on-site and keep an eye on campers 24/7, and you can bring your pets with you. Most guests like spending time in and around the river as they swim, fish and go tubing. The campground has a convenient location near some of the top trails in the area as well as local attractions. You'll find sports courts, a bathhouse with AC, game room and miniature golf course. 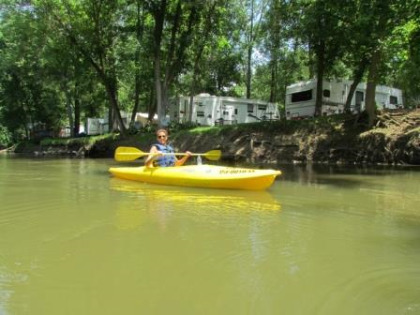 Wally World Camping Resort even hosts theme weekends during the popular camping season and offers special activities. You might plan your visit during a luau weekend. 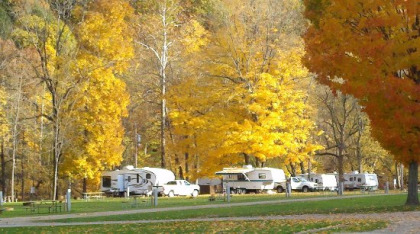 No matter when you go, you can purchase a campground membership for sale that lets you take advantage of all these special events and activities. Contact Wally World Camping Resort Specialist Today!